Now that we have a big pot of slow cooker chickpeas, let’s continue cooking with it. 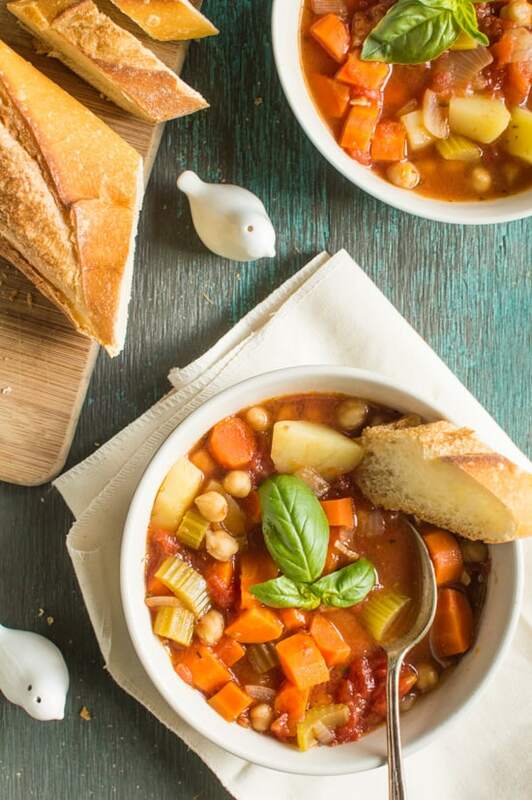 This chickpea minestrone soup is made with the leftover broth from the slow cooker, and the flavors are spot on. I can’t keep my hands off it! Over here, we don’t judge books by their covers. Well, I do sometimes, but only when I have trouble making a decision at the bookstore (which happens quite often). Today, we won’t judge something by its appearance. This minestrone soup looks plain. I didn’t even bother to put pasta in here because potatoes deserve more spotlight. I’m really selling this soup to you, aren’t I? But give this soup a little taste, and you’ll see why it is one of the top 5 soups that has come out of my little kitchen. The secret is in the broth. It’s vegetable broth that’s been slowly simmering with chickpeas and bay leaves for 8 hours. Mmm, flavor. You darn tootin’ it’s delicious. Remember that I told you last week to save the leftover broth from your slow cooker chickpeas? I know you listened to me and bottled that up. You wouldn’t disappoint. And if you just poured it all away…we can still be friends. Just don’t do it again. It’s really the broth that gives the minestrone a distinct rich flavor. The other secret that makes this minestrone special is fish sauce. First I leave out the pasta, and now, fish sauce in a minestrone? Look, I never said that I was going to dish out an authentic minestrone soup today. I added fish sauce to the fun because I craved umami flavor. Friends, I haven’t been able to stop myself from eating this. It’s fueled me up for several lunches and dinners, and I just made another batch yesterday. It’s THAT good. Do yourself a favor. Make this, snuggle up, and enjoy. You won’t regret it. Heat the oil in a small pot over medium-low heat. Place the onions and garlic in the pot. When the garlic is browned, added the carrots and celery, and sweat out the vegetables for 3 to 4 minutes. Add the potatoes, and let it cook for another two minutes. Add the chickpea broth, water, crushed tomatoes, and dried oregano. If you want the chickpeas to be softer when served, add them now. Otherwise, wait until the water boils before adding the chickpeas. When the soup boils, stir in the fish sauce, salt and pepper. Continue cooking until the potatoes are fully cooked or easily pierced with a fork. Serve with chopped fresh basil. First, yay! I’m glad you gave it a go. Second, try to finish the refrigerated chickpeas in 4 days. Otherwise, freeze them. I used frozen chickpeas the second time I made the soup, and it worked out fine. …….You should totally serve this in a bread bowl! Love the addition of chickpeas! Goood call. I’ll get a Boudin’s sourdough bowl next time! I love this recipe. I am a huge fan of chickpeas, so when I see them tossed in a dish they aren’t normally in, I get really happy. 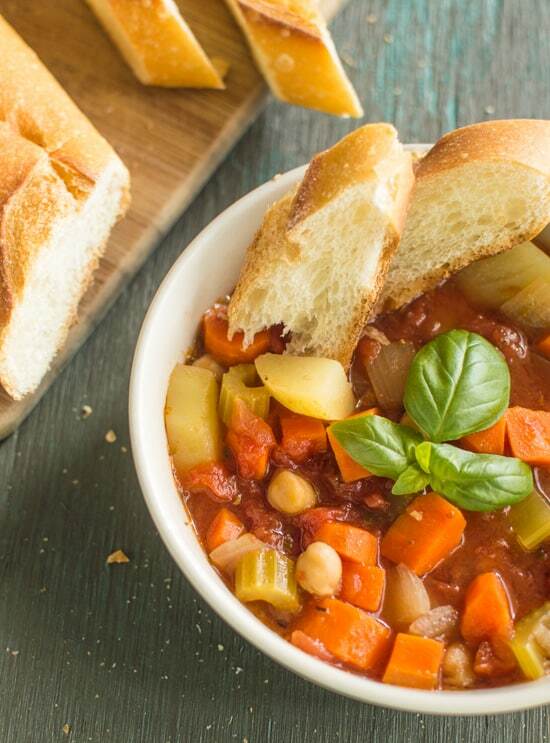 Minestrone is one of my favs and this looks great. The addition of fish sauce was genius! Thanks, Kristen! Yea, the fish sauce works very well in soups! Minestrone is one of my very favorite soups! 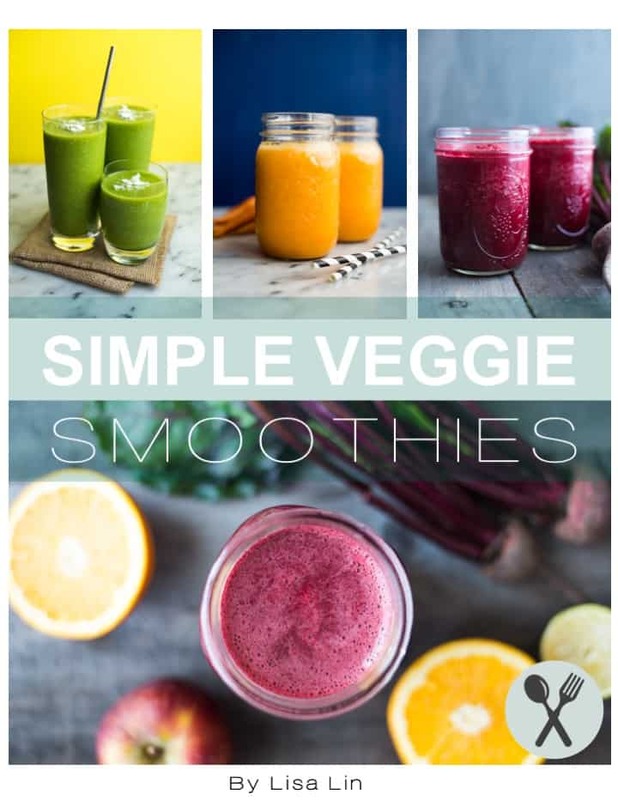 This looks wonderful – smart idea saving the chickpea broth! 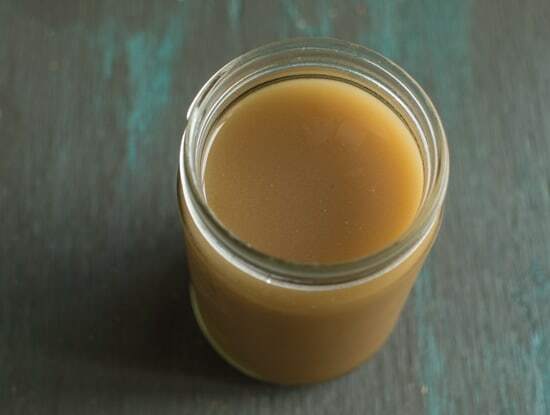 Oh homemade stocks/broths TOTALLY make a recipe. This looks great. And guess what? Still cold over here so I’m ready for more soup. Ha ha. WHEN WILL IT END!! Hah, maybe I should pay you a visit and bring over some California sunshine! I love homemade soups, stocks and broths. This is a great recipe, definitely one the family will love. Unfortunately it hasn’t warmed up much in Ohio- so this recipe will come to good use. YUM! Ugh, I wish it warms up there soon! Thanks, Francesca! Thanks, Marisa! Add the fish sauce to other soups too and let me know what you think! 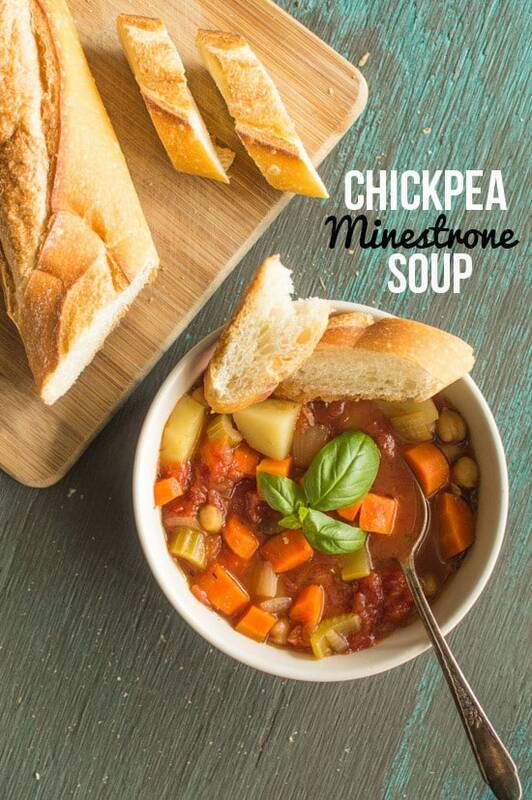 Love the addition of chickpeas in this! This soup looks so comforting and full of flavor! I love that you made broth from simmering the chickpeas too. So much goodness in one bowl! This soup looks so good and I bet that broth in incredibly flavorful! That broth was excellent! Thanks, Marissa! This looks awesome! It’s definitely still soup whether over here so I can’t wait to try this! Thanks, Alanna! Let me know what you think! Gotta love a hearty soup like this! Yum! Great without the fish sauce too! I’ve made it with and without the fish sauce. Thanks, Linda! I love that you used the leftover broth from the slow cooker chickpeas to make this soup! I’ll take a big bowl, please! One HUGE bowl coming right up for you, Ashley! Yeah! Chickpea broth is so delicious, I always save mine! Loving the looks of this soup, and it’s still definitely soup season in my part of the world, so bookmarking this one for a weekend soon. Thanks for the recipe! Thank, Katie! I was quite surprised how great that chickpea broth tasted! Wahoo! 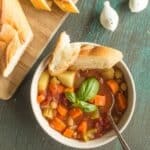 Minestrone soup is my all-time favorite soup! I love the idea of using the slow cooker chickpeas in the recipe. 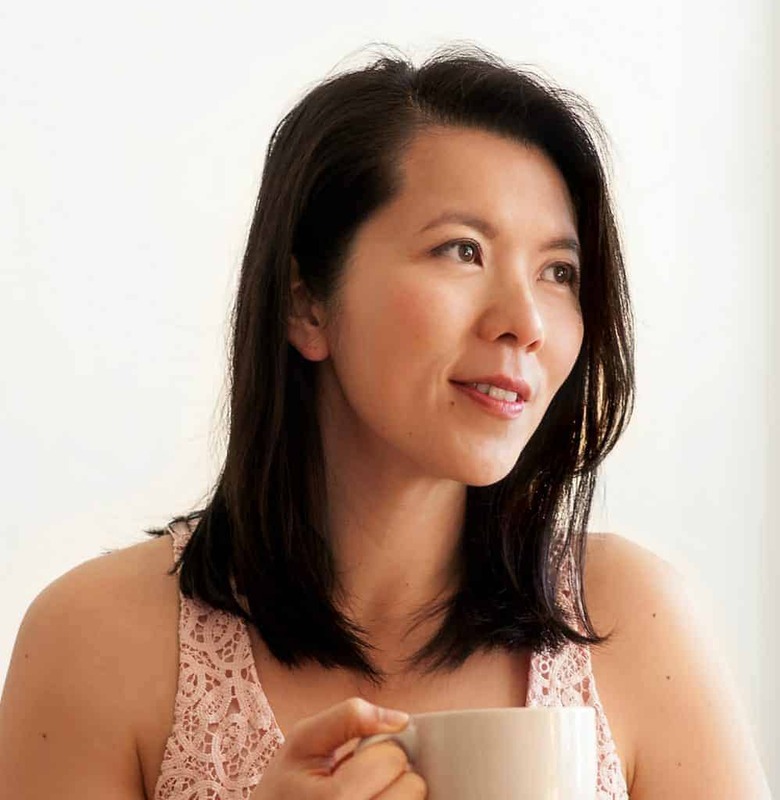 And I’m totally up for the fish sauce idea – I love that it adds so much flavor to a dish, so I totes trust your judgement on it! Needing a huge bowl of this for lunch right now! I had no idea it’s your fave soup! I still have enough of this soup for you. Wish I could just mail it over! Thanks for stopping by, Crista! Let me know if you try it! I ate in a restaurant in Israel a tomato- chickpea – fish sauce soup and tried to find the recipe. Browsing thought the net I found this brilliant dish.